Want to add a little something special to your printed piece? We’ve got some ideas that might just be exactly what you’re looking for – and we do all of these right here in our plant, and having one reliable supplier will not only save on turnaround time, but it will also save you money! These special finishing services will add that special touch to your printed project, ensuring that it will get noticed! Contact us to learn more about these exciting printing services and to see samples of how foiling, die cutting, and embossing can enhance your printed materials. A heated die stamps a specially made foil onto the paper stock, bonding the design to the surface. Foil stamping can add texture and shine that will highlight a pre-determined feature of text or an image. Traditional foils were gold or silver – but are now available in an array of modern metallic colors and holographic patterns. Specialty die cutting enables you to create a near limitless range of shapes, holes, and contours – from perfect circles or squares to the outline of an image or logo. A die cut provides an interesting edge shape or customized view-through window to take your piece from a one dimensional printed piece — to one of interest and intrigue! Embossing uses a specially made die that, while under pressure, forms a three-dimensional impression that enables the viewer to not only see the design — but also feel it. 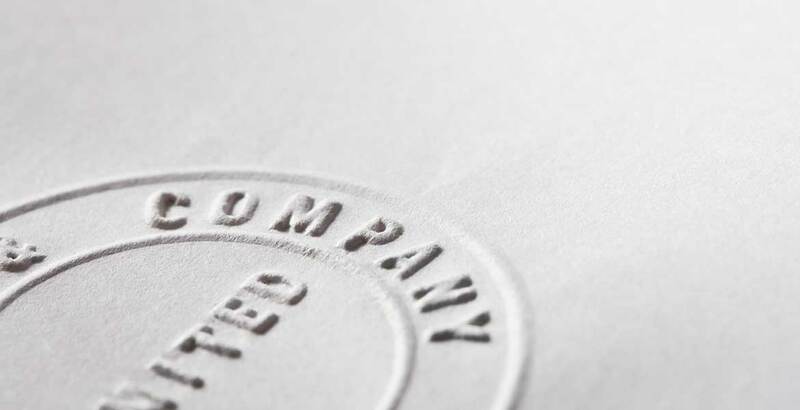 Embossing is an elegant effect that adds a touch of class to any printed piece. Embossing can be used on its own, or in combination with foil stamping for a truly remarkable customized look for your printed material.